As your trusted vehicle inspection, maintenance, and repair shop in Logan and Providence, Utah, we take our responsibility of helping to keep you safe on the road very seriously. That’s why today we’re discussing why winter months are especially risky for vehicle corrosion, what can be done to prevent this issue from happening, and how to repair it when it does. Salt is often deposited on local roads to help melt ice and prevent you from sliding or crashing on Cache Valley roads. But snow isn’t the only problem drivers deal with on winter roads. This salt also sticks to your vehicle’s metal components and can cause some real issues if left there. There’s always a risk of these metal parts rusting and corroding, but this risk is even higher during winter. As salt and moisture sit on the undercarriage of your vehicle, corrosion can happen quickly. Washing your vehicle regularly can help when it comes to protecting its brakes, wheel wells, and undercarriage from snow and moisture. We recommend washing your vehicle frequently—at least once a month—during winter months to clear away salt and keep it from corroding your car’s metal parts. In addition to keeping your vehicle clean and salt-free, it’s also wise to bring it in for an inspection during the risky winter season. Stop by and see us at our Providence, Utah or Logan, Utah locations. We can do a quick inspection of your brakes, undercarriage, and wheel wells and identify any areas at risk for corrosion or rusting. We can also repair these areas and provide expert tips for you to care for your vehicle. We look forward to seeing you at our Logan and Providence locations! If your car battery has ever died on you in the middle of a freezing cold storm, you know how frustrating this can be. There’s actually an explanation behind why this happens, and what you can do to help prevent or repair a failing battery during winter months. Most vehicle batteries contain a plastic case that’s filled with lead plates and an acid/water mixture. The plates and this mixture cause a chemical reaction that produces a charge. This charge is then stored in the car’s battery. The problem is, these plates can become covered with lead sulfate. This process–called sulfation—makes the battery less effective at holding a charge. The more time that goes by without the battery being used, the quicker it loses its charge, too. When it’s cold outside, these factors are amplified. Cool temperatures slow down the chemical reaction that happens inside the battery, and also make your vehicle require twice as much power to heat up and function normally. This is a big reason why car batteries lose about half of their strength during winter months. Heaters and window defrosters commonly used during the winter can also drain your car battery faster. Your battery may die with no warning signs, but in some cases, the following indicators may happen prior. Watch for dimming interior or exterior lights, electronic units not functioning properly, delayed start, a rotten egg “sulfur” smell, or a swollen battery case. Also, if your battery is over 3 years old, it’s much more likely to die during the winter and may need to be replaced. If your vehicle’s battery doesn’t seem to be functioning properly or has died completely, Discount Tire can help. Stop by our Logan or Providence, Utah locations today! Now is the time to prepare your vehicle for cold Cache Valley winters! Snow, rain, ice, and freezing temperatures mean extra precautions need to be taken to make sure you’re safe on the road. These simple maintenance tips can help you along the way. Discount Tire cares about your safety, which is why we have you covered. If you have any questions about this maintenance checklist, don’t hesitate to give us a call or stop in to see us at our Logan or Providence locations. Clean and apply wax to the outside of your vehicle. Make sure your car is free from salt and sand that’s placed on roads to melt the ice. If not washed weekly, these substances can damage your vehicle’s paint. Keep your anti-freeze full at all times. Antifreeze works to keep your engine from freezing or overheating and protects it from rust and corrosion caused by contact with snow and ice. Make sure it’s topped off during winter months. You may want to consider a synthetic oil since it flows more easily when it’s cold compared to conventional oil. A representative at Discount Tire can help recommend which type of oil would be best for your vehicle. At Discount Tire, we can do a quick diagnostic of your battery to make sure everything is running smooth. Even if you don’t suspect an issue with your battery, cold temperatures can make your battery die faster, so it’s a good idea to have it looked at. Have belts and hoses checked and repaired. Discount Tire can quickly inspect your hoses and belts for any bulging, cracking, or leaking and make necessary repairs. Make sure your interior and exterior lights are working properly. If you get caught in a storm and your vision is impaired, properly working lights are crucial. In addition to headlights, brake lights, and cab lights, check your emergency signals and warning lights, too. Top of wiper fluid and replace windshield wiper blades. Wiper blades and fluid are essential in case of a storm. It’s also a good idea to keep an extra bottle of wiper fluid in your trunk in case of an emergency. Don’t drive with a cracked or chipped windshield. This is one of the most overlooked dangers during cold months. Cracked windshields are more likely to shatter when it’s cold or in case of a collision. Cracks can also impair your ability to see, which is a significant safety hazard. Fill up your tires often and put on snow tires if needed. Have the tire pro’s at Discount Tire take a look to make sure your tires are in good shape. We can also put your snow tires on for you quickly and easily. Keep checking your vehicle throughout the winter season. Winter maintenance isn’t a one time task but should be done throughout the season. Continue monitoring your tire pressure, washing your vehicle, checking your lights, etc. as cold temperatures persist. Stop by and see us at Discount Tire! We have two locations in Logan and Providence to best serve you and help get your vehicle ready for winter. We look forward to seeing you soon at one of our two convenient locations! Winter is a nerve-wracking time to be on the road, and disaster can strike in a split second. 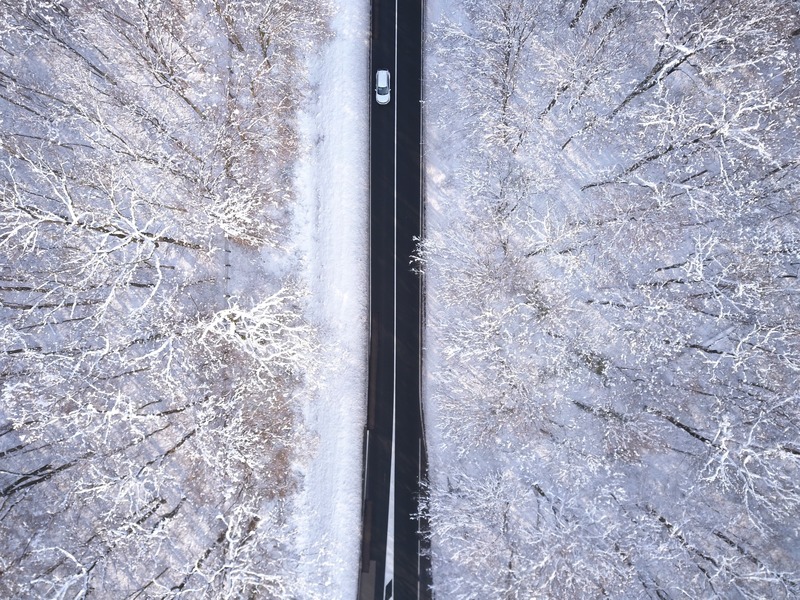 While dangers can be brought no matter what when driving in the winter, there are some simple yet significant precautions you can take to help you stay safe. 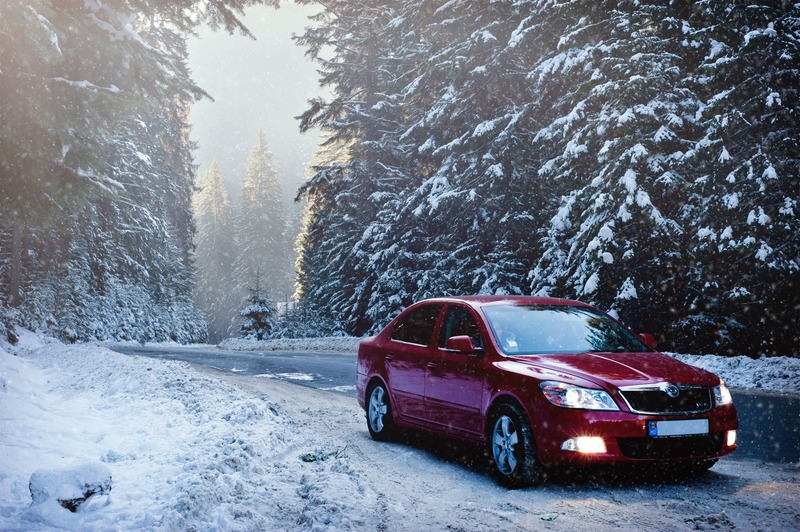 Don’t let severe weather keep you from getting where you need to go this winter. 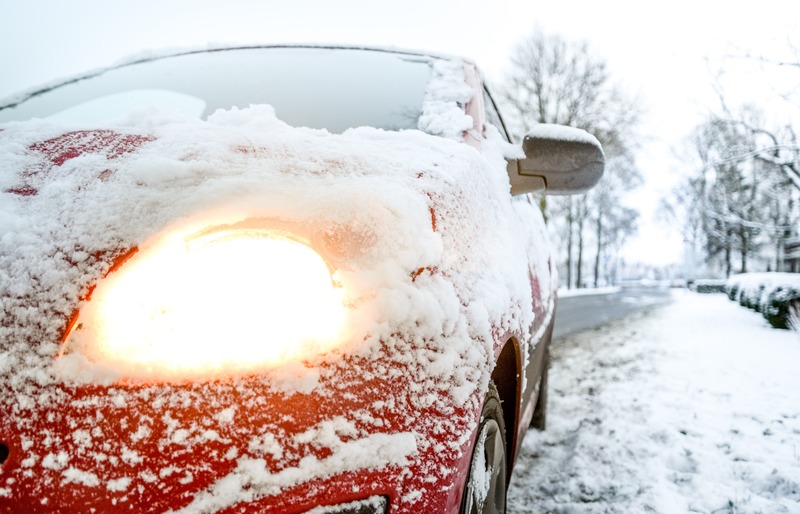 Be proactive and cautious by applying these tips during winter driving. Yep, you’re reminded of this all the time. But the fact is, in the chance that you can’t prevent an accident from happening, your seatbelt can help protect you. Never drive without wearing it. Reduce your speed. Accelerate, drive, and brake slowly. This is probably the most significant tip to remember. Driving slower helps you regain traction if you slide and avoid skidding. Keep in mind that it takes longer to slow down or maneuver your vehicle on slick roads. Keep your tires from spinning by braking slowly and let inertia carry you up hills. Turn in the direction you’re sliding. There’s a chance your tires could slide on a slick road. You may have heard the expression “turn into the slide”—this just means turn your wheel in the same direction that your back tires are sliding. For example, if your back tires are sliding to the left, turn your wheel to the left, then straighten the steering wheel when your car straightens out. Don’t panic, overcorrect or jerk the wheel if you lose traction. If you do feel yourself sliding or losing grip on the road, avoid the tendency to jerk the wheel or turn sharply. Again, slow your speed, gently turn into the slide, and let your vehicle straighten out. This shouldn’t be too difficult as long as you’re driving slowly. Preventative maintenance is key before driving in the winter. Check your brakes to make sure they’re functioning properly and make any necessary repairs. Make sure your tires are properly inflated at all times. Adequate tire pressure is essential for proper traction on the road. Have your tires check and repaired if necessary prior to driving in the winter. Don’t use cruise control when driving in severe weather. When driving on potentially slick surfaces like snow, rain, ice, salt, or sand, don’t use your cruise control. Stay slow and alert and make adjustments to your speed as conditions fluctuate. Don’t let your gas drop below a half a tank. This can help keep your gas line from freezing up and prepare you for an emergency in case you’re unable to reach a gas station. Make sure your exhaust pipe isn’t blocked with ice, snow, or mud. Check for this periodically and clear your exhaust pipe as needed. Blockage can cause a deadly carbon monoxide gas leak. Discount tire offers a variety of vehicle maintenance and repair services to help keep you safe when driving on winter roads. Stop by either our Logan, Utah or Providence, Utah location. We look forward to serving you! Does the cost of gas get in the way of your road trips? Do constantly changing gas prices get you down and take a hit on your budget? The good news is, with these 9 simple tips from your local Discount Tire pro’s, you can get more out of your gas tank and your wallet. Gently brake and accelerate. Your engine has to work harder when you punch on the gas pedal. Focus on accelerating slow and steady. Keep a safe distance between yourself and the car ahead of you to decrease the likelihood of sudden breaking. Avoid anything else that could make you stop abruptly, and always try for rolling stops. Use the cruise control. One of the easiest ways to help with your accelerating and braking is to use cruise control. This is one of the most effective ways to boost your gas mileage. Fuel up right. If you take care to use the recommended type of gasoline for your vehicle, you’ll be getting the best performance from your engine. 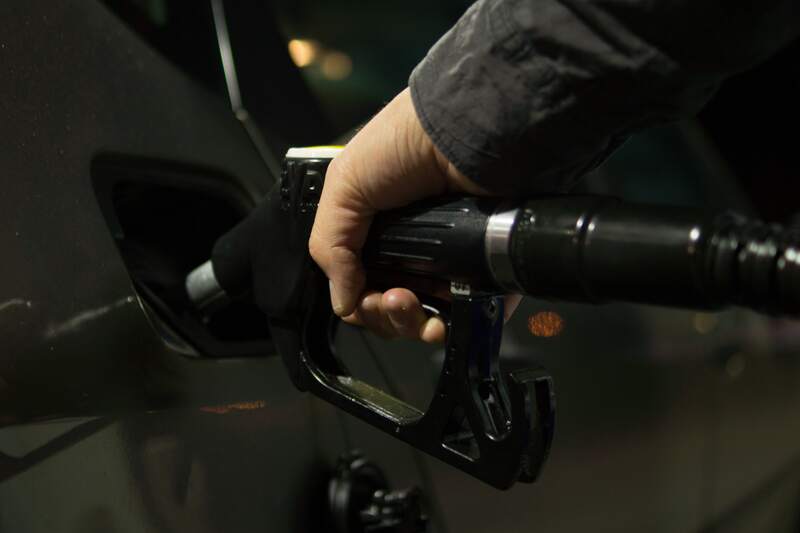 Don’t use cheap unleaded fuel on high-performance vehicles, but use higher octane fuel as recommended. Always have a tight gas cap seal. When your gas cap wears out or isn’t sealed tightly, oxygen can leak into your gas tank—causing your engine to burn more gas. When you fill up with fuel, listen for a “click” to make sure you tighten your gas cap all the way. At your routine tune-up, check your gas cap seal and replace it when necessary. Your local repair shop can do this for you, or you can find your own replacement gas cap at an auto parts store. Only use recommended motor oil. Your owner’s manual can tell you which type of oil your vehicle takes. Use this oil every time. The wrong oil can cause friction in your engine which reduces gas mileage. Lighten your vehicle’s load. This makes sense, right? The more weight something carries, the slower it moves. When there’s a lot of excess weight, your engine has to pump harder and use more fuel to move your vehicle. Get rid of any unnecessary weight to reduce strain on your engine and improve gas mileage. Don’t let your tires get low. If your tires aren’t inflated all the way, the rolling resistance of your tires on the ground increases. This drag also drags down your gas mileage. Tires that are properly inflated can make a huge impact on your fuel efficiency. Don’t idle your engine for too long. Even when your engine is idling, it still uses about a half gallon to a gallon of fuel every hour. Make it a habit to turn off your car when you wait and don’t heat your car up for too long on cold mornings. If you want to really take this tip to the next level, you could even try turning off your engine when stopped at long red lights. Keep your air filter clean. Just like a vacuum can’t produce proper suction when the bag gets full, your engine won’t work as efficiently if the air filter is clogged. Have your local tire shop check your air filters at your next oil change and replace it according to their recommendations. Ultimately, the best way to get the best gas mileage possible is through preventative maintenance and regular tune ups. Your local pro’s at Discount Tire in Logan, Utah can check everything from your air filter to your tire pressure and catch anything that could be reducing your fuel efficiency. Trust Discount Tire in Logan and Providence, Utah for all of your automotive services. Don’t forget to take advantage of our latest specials and coupons when scheduling your service! Owning a vehicle brings a whole slew of things to remember—like regular oil changes, repairs, and vehicle inspections. It can seem like a lot to keep up with. That’s why we’re here to help make things easier for you, especially when it comes to your routine tire rotation service. Tire rotation is recommended every 5,000 to 7,500 miles. In reality, that recommendation is more like some sound advice from someone who knows the benefits. Here’s why you shouldn’t put off having your tires rotated at your next tune-up. At your next oil change, have the professionals at Discount Tire take a look at your tires for you. If a tire rotation is recommended, we’ll start by swapping your front tires and rear tires. We may even move your tires from the right side to the left and vice versa—depending on how they’re wearing. The experts at Discount Tire will know the right pattern to rotate your tires based on your specific vehicle and what we see in terms of wear on your tire tread. The entire point of tire rotation is to save you money and make sure you’re safe on the road. Regular tire rotation helps your tires to wear evenly. It also extends the life of your tires. 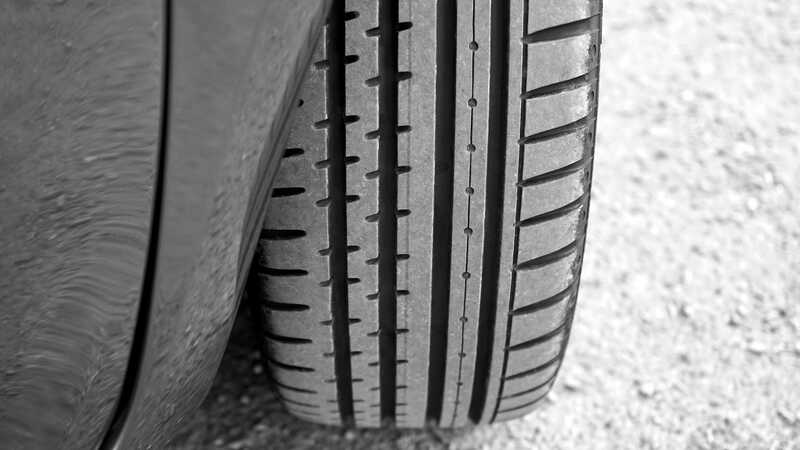 When your tires wear evenly, you can stay balanced on the road and maintain good control. You need this every day, and even more so in the precipitation or when an emergency situation strikes. Ask the pro’s at Discount Tire about how your tires wear and how often they should be rotated. We’ll also be able to give you information about the warranty on your tires. Keep in mind that failure to rotate your tires regularly can impact your warranty. Your tires are crucial for your safety and the overall performance of your vehicle. That’s why they should only be in the hands of the best in the business. 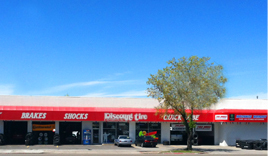 Discount Tire is Cache Valley’s most trusted tire provider. 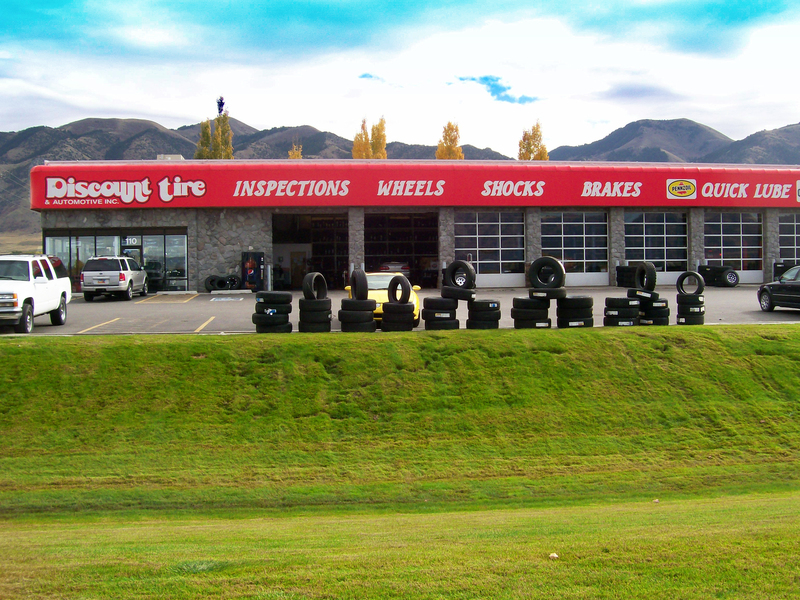 Learn more about the tire services we offer at our Logan and Providence, Utah locations. Learn more about our tire, wheel, and automotive repair services. You can trust the professionals at Discount Tire in Cache Valley. Many of us put off doing regular maintenance on our vehicles for a lot of reasons—busy schedules, an attitude of “I’ll get to it later,” or maybe a lack of knowledge about the consequences of not getting things taken care of quickly. Think about it—when was the last time you had your vehicle serviced right around the recommended mileage mark? We get it, and we’re all guilty of it. 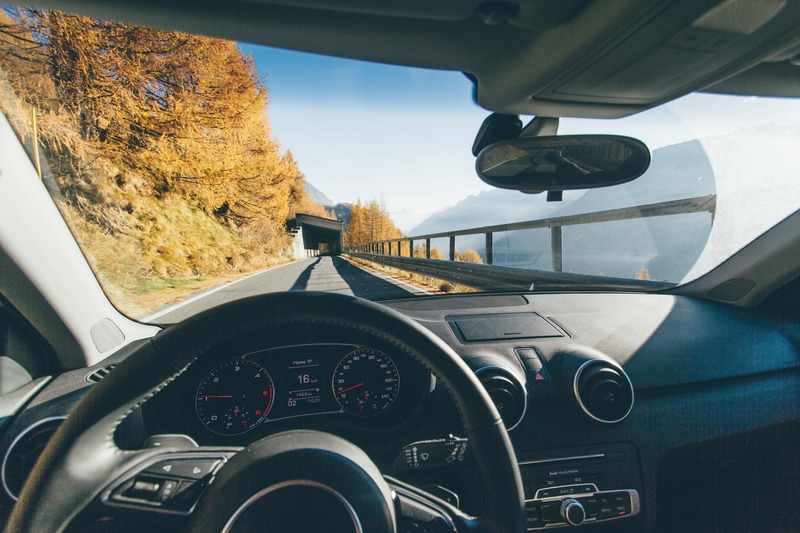 We’re all human, and while we may take longer than recommended to take care of basic services for our vehicles, there’s one thing that can really put you at risk if it’s not repaired quickly: driving with a cracked windshield. Why Is It Dangerous To Drive With A Cracked Windshield? Now we’re not saying a cracked windshield is by far the most dangerous issue that can happen with your vehicle. There are many routine services that, depending on your situation, you should get taken care of first. But what we are saying is that a cracked windshield is the most common repair for people to put off—if they even end up getting it fixed at all—which is why it can be so dangerous. If you get in a head-on collision or a rollover accident with a cracked windshield, it can shatter. This puts you and your passengers at a greater risk of serious injury from the broken glass. If a passenger doesn’t have their seatbelt fastened, a broken windshield also makes it much more likely for them to be ejected from the vehicle during an accident. A broken windshield can also impact airbag deployment during an accident. When an airbag deploys, the windshield stops the airbag and pushes it toward the passenger. If the windshield is cracked and shatters during impact, the airbag can inflate out of the opening, leaving the passenger exposed without protection from airbag contact or the windshield. A cracked windshield provides an opening for moisture and dirt to get inside your vehicle. This can make the crack spread faster, and also impacts the cab environment inside your car. One of the most significant risks of driving with a cracked windshield is how it impairs your ability to see. Even if you think you can work around it and still see clearly around a crack in your windshield, this simply isn’t true. Why put yourself and other driver’s on the road at risk? Each state has different laws for driving with a cracked windshield. But the fact is, you can get pulled over and given an expensive ticket. Anything that can put passengers or other drivers on the road at risk isn’t taken lightly. Avoid the risk and the potential cost for you by having your windshield replaced promptly. Routine maintenance and regular tune-ups are a great way to get expert tips on chips or cracks in your windshield and other factors that could be impacting your safety on the road. Has it been a while since your last preventative maintenance tune-up? Stop by your local Discount Tire in Logan and Providence, Utah and have the pro’s take a look for you! Summer is here and it's time to take that long-awaited, and much-needed vacation. Which calls for a... ROAD TRIP! Before you hop into the car and start your adventure, check out these tips so you are as prepared as you can be! Planning is an important part of a road trip. That being said, don't have a plan that is so set in stone that you miss out on the adventure of the trip. Have a route that is from point A to B, leaving room for detours and other site seeing. Check Google Maps so you have an idea of how long the travel time will be, roads that might be close, and maybe get an idea of a couple sites that may be off the beaten path. 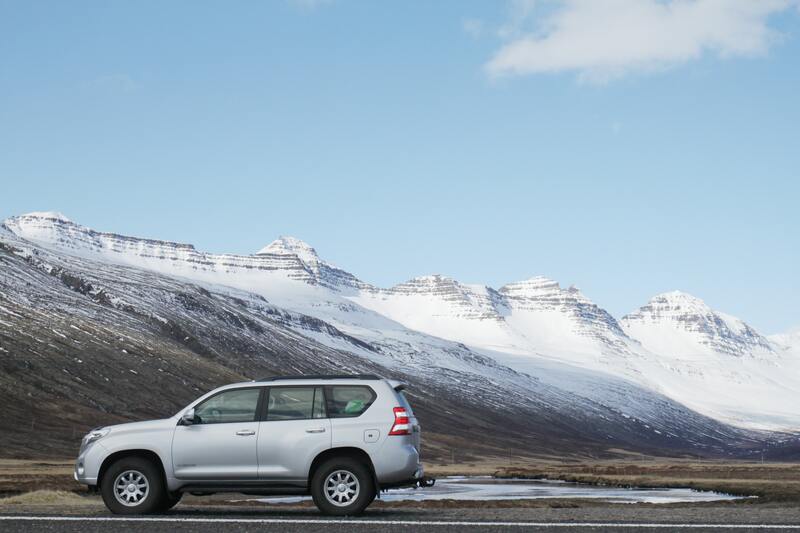 Depending on whether you are headed to the mountains or the beach, you may want to consider finding a vehicle that will match the terrain you will be driving on. If it's a short trip, do some research and see if renting a car may be the best option. This will save you from putting the miles on your own vehicle, retaining its value. Be sure to check the status of your tires, fluids, and lights to make sure all are in working order. If you don't feel comfortable doing this checkup, have the professionals and Discount Tire Co. in Logan and Providence do it for you! One of the best compliments to the open road and the snacks is the music. Compiling your favorite songs and nice feel-good music will boost the moods and you hit the desolate areas of the trip. If you get sick of music, another good way to help some of the time passes is to listen to an audiobook. As you pass through small towns, ask the locals for their advice. 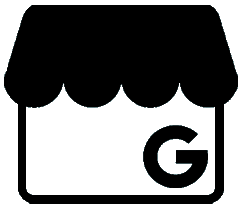 They will be able to give you the best advice for food, lodging, and sites to see. If you are lucky, you may even find a hole-in-the-wall restaurant that quickly becomes your favorite of all time. If you know when you are going to reach your destination, and you know that you want to see a certain attraction, then book your entry in advance. Booking in advance will save you time and possibly missing out on if it sells out. Saving as much time for things like this will give you the chance to maximize your vacation. 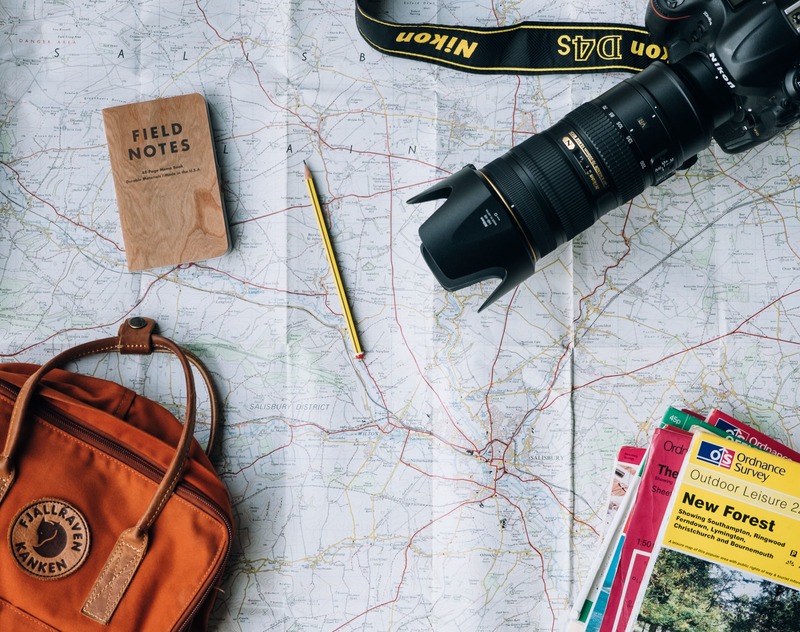 Do adequate research before you leave and familiarize yourself with the route, geographical area, culture, currency differences, and weather. Pack accordingly, make sure your A/C is working, give family and friends a heads up on where you are going and simply be smart!! Have your vehicle checked out by the professionals at Discount Tire Co., to ensure that your vehicle is ready to take on the open road. Schedule your appointment today. As the weather warms up, your vehicle may show signs of a needed tune up. With more travel for vacation or visiting family, means more chances your car could break down and leave you stranded. This list will help prevent possible car troubles as you're out and about. Keep your car in tip top shape. Your engine needs to stay as cool as you. Check the level of coolant fluid, condition of the hoses and also the coolant reservoir. Make sure that the fluid is topped off and the condition of the hoses are good. It’s a good idea to have a small container of coolant in the emergency bag in your trunk. Keep an eye out for leaks as you go through the summer months. The belts found in your engine can degrade, become noisy, loose or even break. Making sure that these belts are in good conditions. Also make sure that they haven't become loose and have the right amount of tension. If you start to see cracks, ware and missing pieces, it's time to replace them. Summer rain storms are most times always welcomed. But not so much when your wipers are worn and not doing their job, making it almost impossible to see out your windshield. Worn wipers create streaks across the windshield affecting your ability to see and drive safely. Wiper replacements are fairly inexpensive and easy to switch out without a professional's hand. However, sometimes auto maintenance shops will sell you the wipers and install them for free. Your engine uses all sorts of fluids to ensure it runs correctly and smoothly. These fluids include oil, brake, power-steering and windshield-washer fluid. Check these fluids often. If you don't know where to check these fluids, ask your favorite automotive shop to show you. Check oil, brake, power-steering and windshield-washer fluids regularly. Also, be sure that as you check these fluids throughout different areas of the engine, to keep an eye out for other irregularities. Having a working air-conditioning in your vehicle is a must. After a tough winter, your A/C may not be working at its best. Older A/C systems may be leaking Freon which isn't good for the atmosphere of your car. You can find a many options for leak-sealing products a stores. If this doesn't seem to help, there could be a bigger problem which may be looked at by a qualified mechanic. This time of year is a good time to check your engines air filter. If you haven't checked it through the fall, winter and spring months, you may find leaves, pollens and all other sorts of outdoor debris clogging the filter. You could try to clean it or it might be easiest to buy a new one. The condition of your tires should be checked throughout the year including regular rotations. Making sure the air pressure, tire threads, and side walls are all in good condition is important. No cracks, no uneven wear, good thread depth, and good sidewall condition are all considered when evaluating if a tire is in good condition. If you think that the condition of your tires may affect the safety of you and your family, consider purchasing a new set of tires. Also, make sure that your spare tire is in equally good condition. Your dashboard sees a lot of sun. Using a sunshade while your car is parked can protect your dashboard from the damaging sun as well as keeping the interior of your vehicle cooler. The ultraviolet rays of the sun change the color of the dashboard over time. You could also consider purchasing a sunshade for your rear window, protecting the tops the and rear dash. Keeping your car clean during the fall and winter months is difficult. Dirt is easily tracked into the vehicle with wet shoes. Dust begins to settle throughout the car as we neglect to clean the interior. This dust settles on the inside of the windshield making it difficult to see out when the sun hits it just right. Clean the inside of your vehicle as often as possible. This preserves the conditions of your seats and floors as well as keeping your windows safe to look out of. Don't stop with the inside. Clean the exterior of your vehicle preserving your paint and your shiny wheels. Finish the car wash was a good waxing. 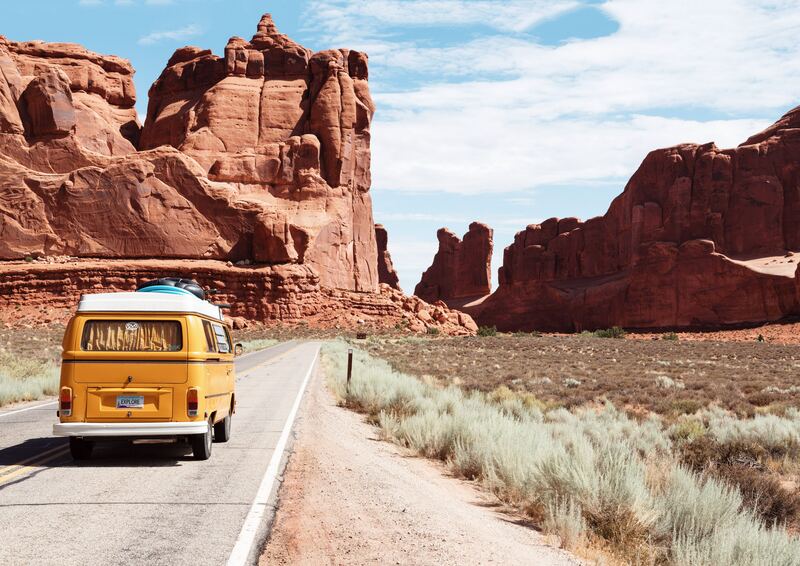 Road trips are a good opportunity to bond with family and friends as well as seeing the sites of the world. Be sure that you are well stocked with drinks and snacks. Organize your trip ahead of time to maximize your time spent on vacation. Make a list of everything you're going to need. For example: sunglasses, games, snacks, blankets, books and anything else that will make you better prepared. Be sure to back an emergency kit to be placed in our truck; which should include water, flashlight, light snacks, flares, radio, and any other emergency preparedness items. To make things easier, call Discount Tire Co. and schedule an appointment and we will look over your vehicle and make sure you and your family are safe. We are willing and able to make sure you're prepared to have a great summer!